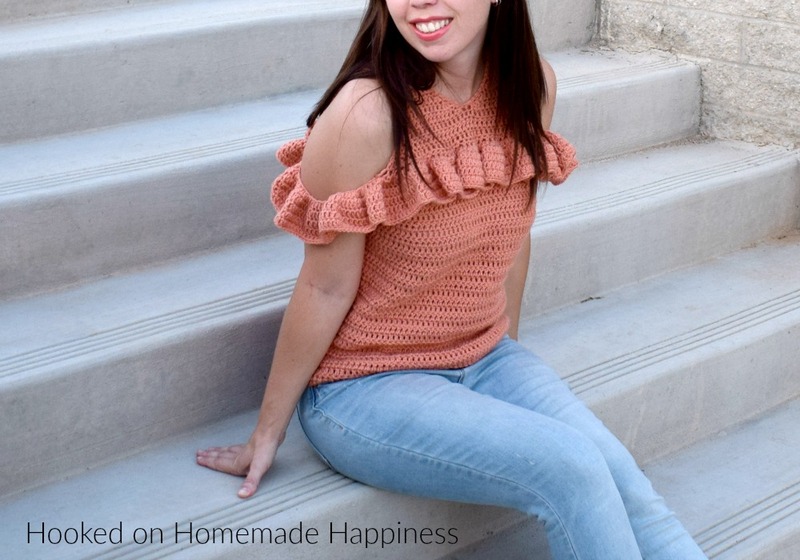 The Cold Shoulder Crochet Top Pattern is such a fun and flirty top! It’s made with DK weight yarn so it’s not too heavy. Perfect for Fall and Spring! 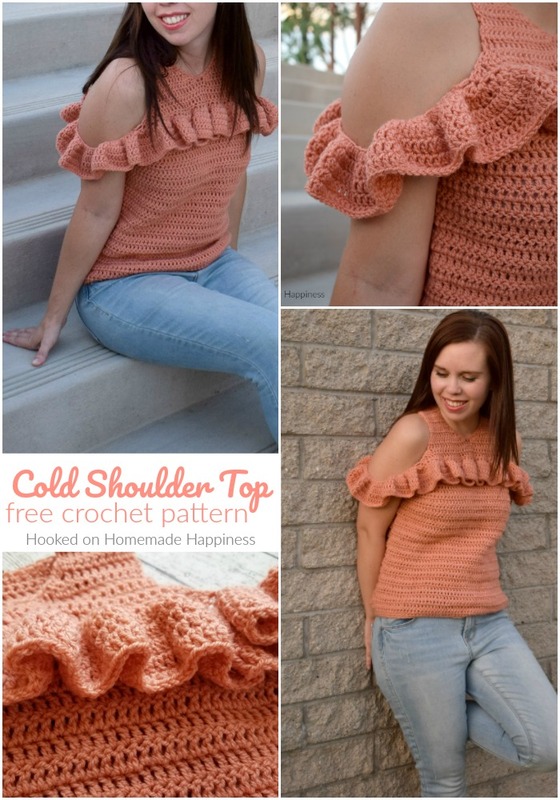 This top has the cutest ruffle creating the cold shoulder detail. 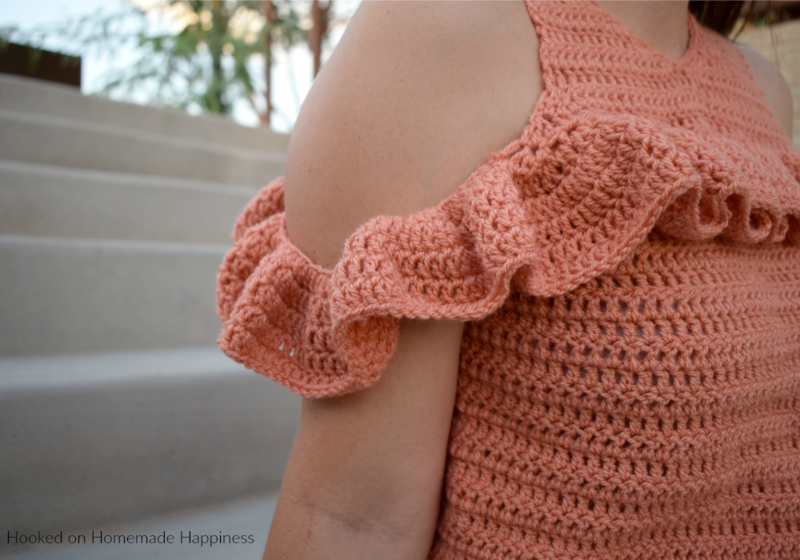 I love how fun and girly it makes this top! 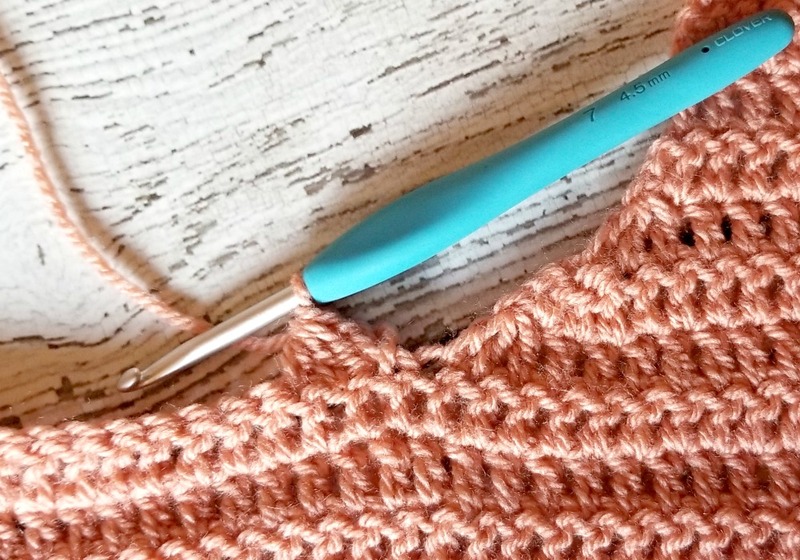 It’s mostly made of double crochets with a few shaping details making it an intermediate level pattern (or an ambitious beginner level!) 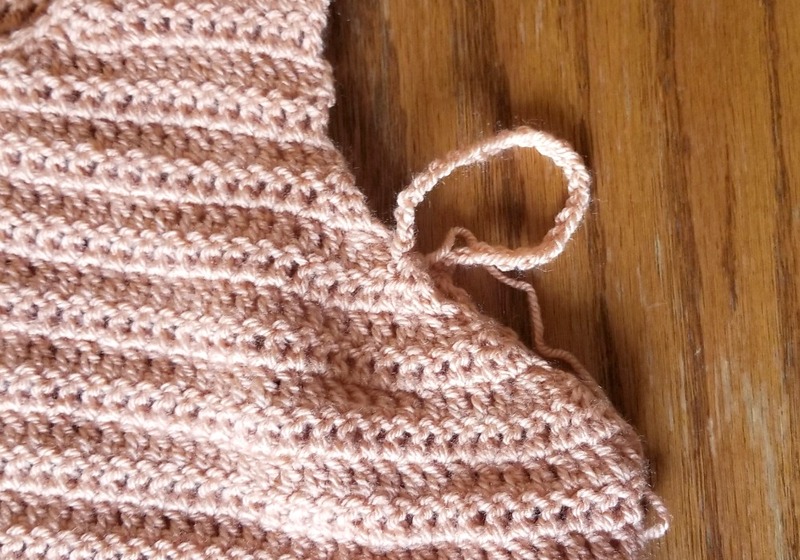 I used one of my favorite DK acrylic yarns, Paintbox Simply DK. 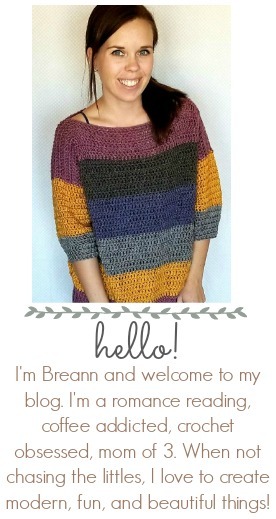 There are so many colors to choose from and it’s a good quality yarn for a great price. – The top is made with two panels sewn together. The front and back are made separately and then sewn together across the shoulders and the sides. Then the ruffle detail is added around the front and back in rounds. 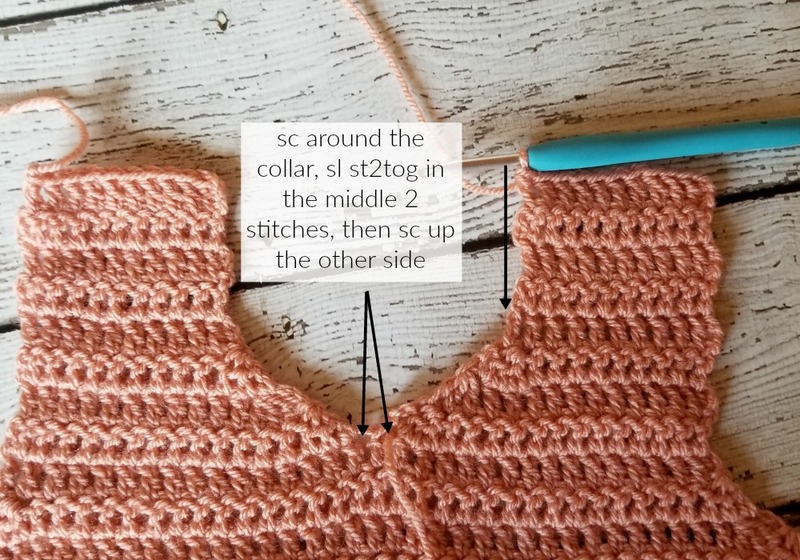 Ch 1, sc around the inside of the collar to the middle 2 stitches, sl st2tog across the middle 2 stitches, sc up other side. Lay both pieces together. 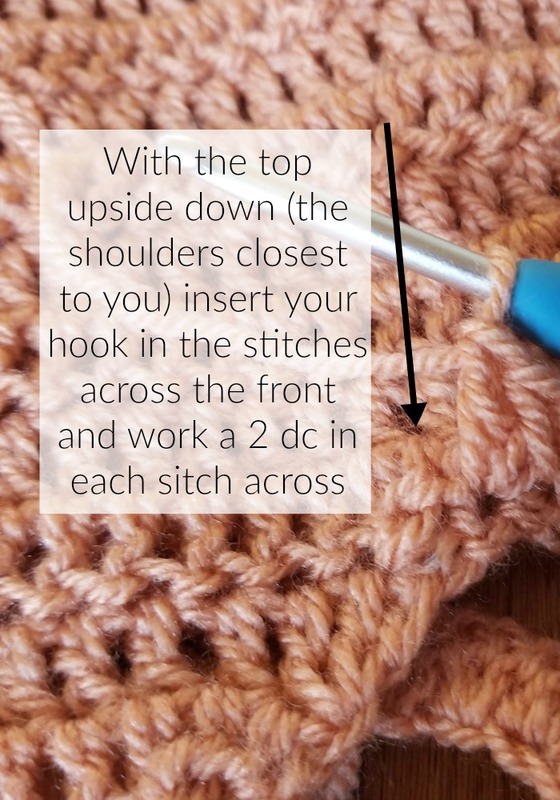 Use a needle and the long end whip stitch the shoulders together. 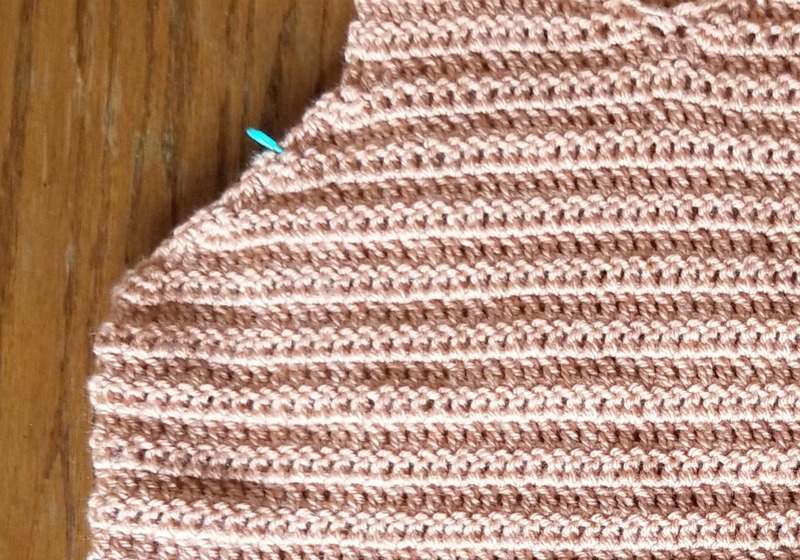 Then whip stitch up each side to the armhole (row 34). Fasten off, weave in all the ends. Turn right side out. 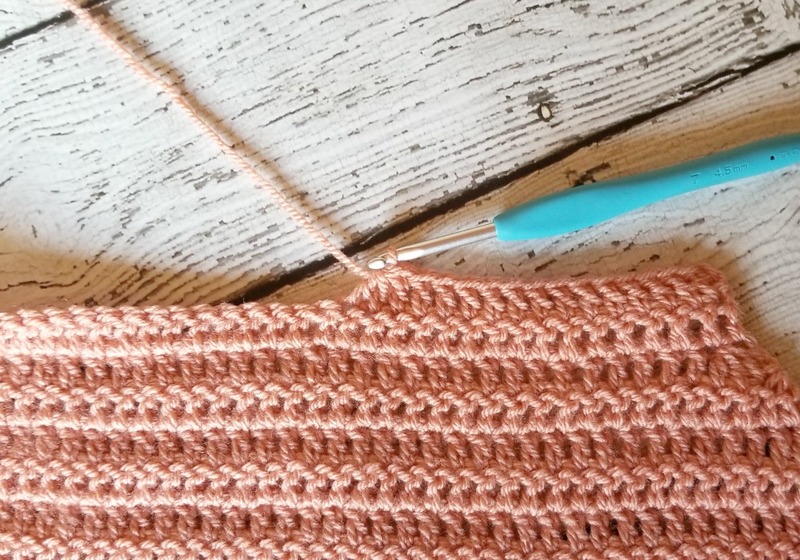 Join yarn at stitch marker. Ch 25. Join to the back with sl st (careful not to twist the ch) Fasten off. Repeat on the other side but do not fasten off. 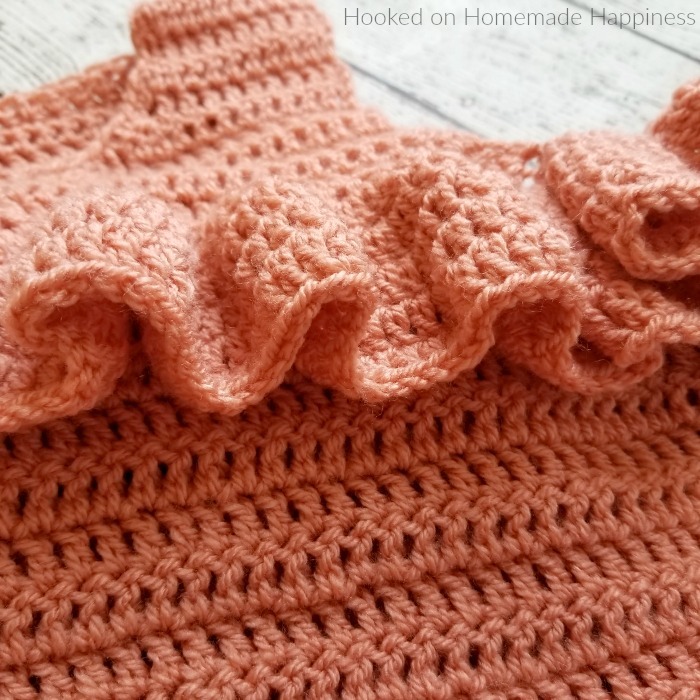 Now you will make ruffles across the front of the top. You will work around the entire top, working in joined rounds. And you’re done! 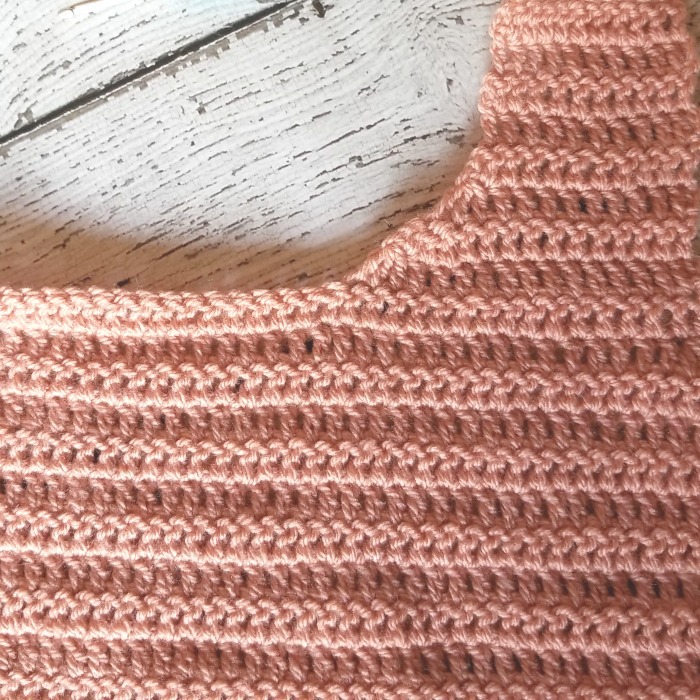 I hope you love this top! thank you for the pattern. I love to make this for my baby who will be turning one this October. May I know what hook size will I use? thank you. I love this top! Just finished one side and wondering the best way to add the ruffles to the top. 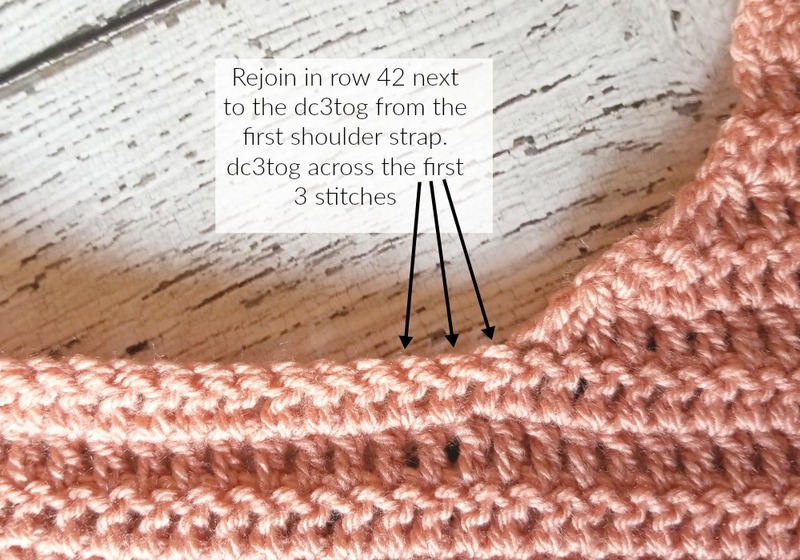 Can I do 2dc around the posts of the stitches rather than just the front of the stitch? will it make a difference to how the ruffles lay? Thank you. I need to make an extra large, so how many more chains would I need, and would it hinder the pattern?